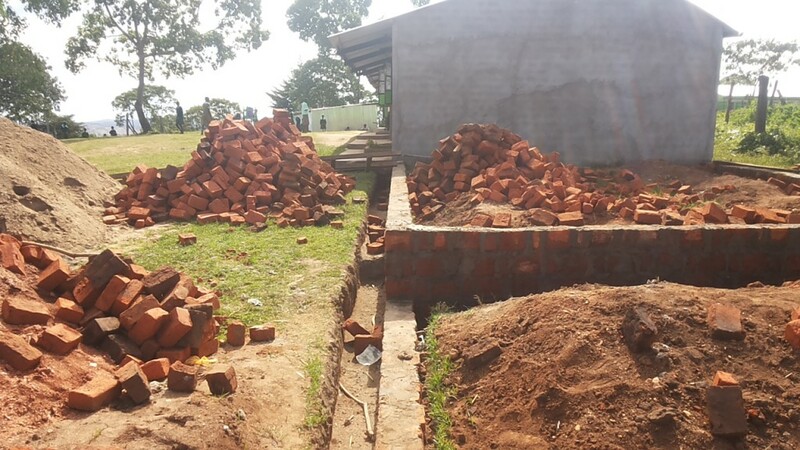 In September, the teachers at Daylight decided to build three brick classrooms. It was time. For the last three years Kindergarten through 2nd Grade had been holding classes in Corrugated Tin classrooms without proper windows or walls. The teachers decided it was time to upgrade. But unfortunately Daylight didn’t have the resources to build new brick walls. 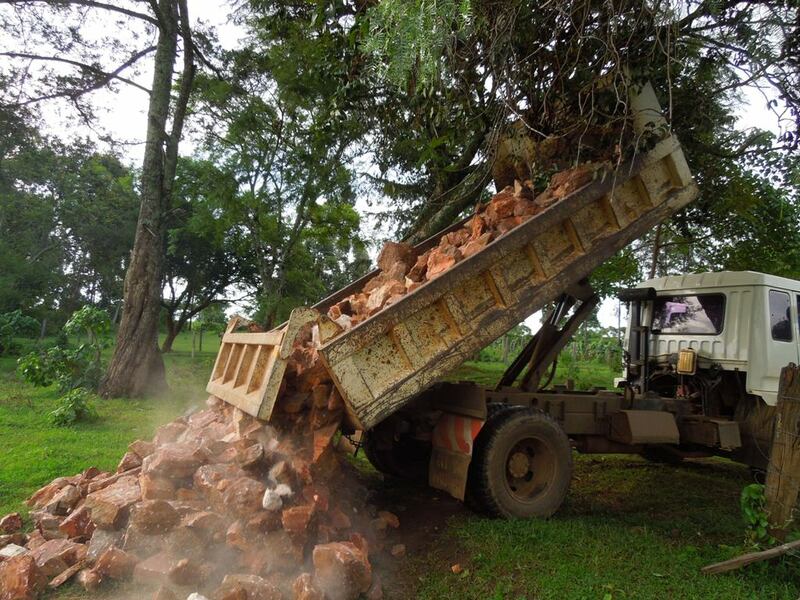 So the Daylight staff send out a call to the community asking for bricks to be donated by the people of Kapenguria, Kenya. Like fundraisers here in America, the Daylight students asked their parents to donated a few bricks. 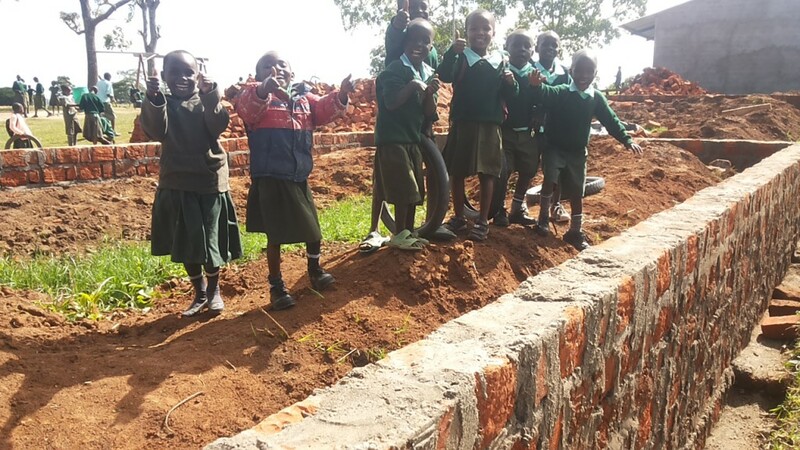 After classes the Daylight teachers fanned out across town asking for donations of bricks to help build new classrooms. And the community responded with overwhelming support! 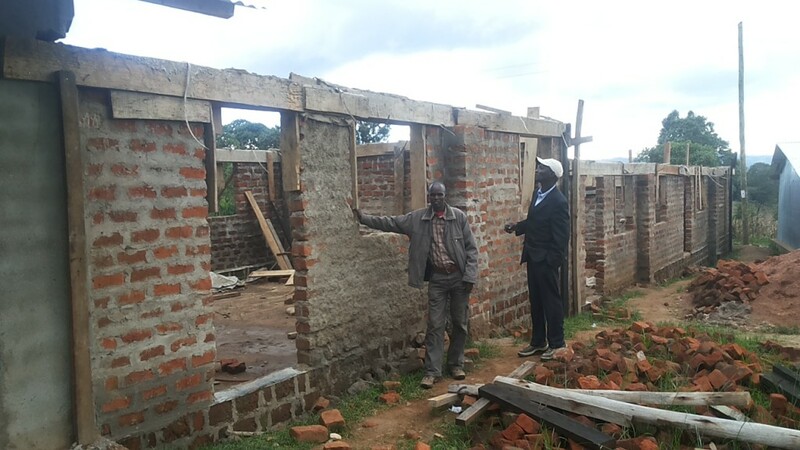 Bricks began poured in from every corner of the community. Local businesses, student’s parents, and Daylight neighbors. Brick by brick Daylight’s builders piled them up. Then it was time to build. Brick by brick the walls went up. 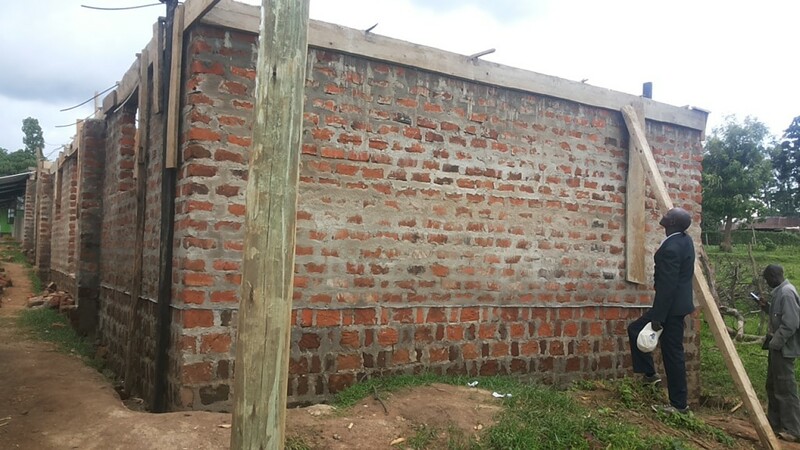 Michael Kimpur left Daylight Kenya to come to America in Oct 2 and the walls were only knee high. But the Kindergartners were already EXCITED for their new classroom! Three weeks later, when Michael returned from 30 hours of traveling. He was exhausted. But he couldn’t help but smile and take a picture as he looked up at the walls of the classroom. The community had come together and rallied around these kids. There is still work to be done. But it is inspiring to see what a community can accomplish when we work together to build something. Brick by brick. 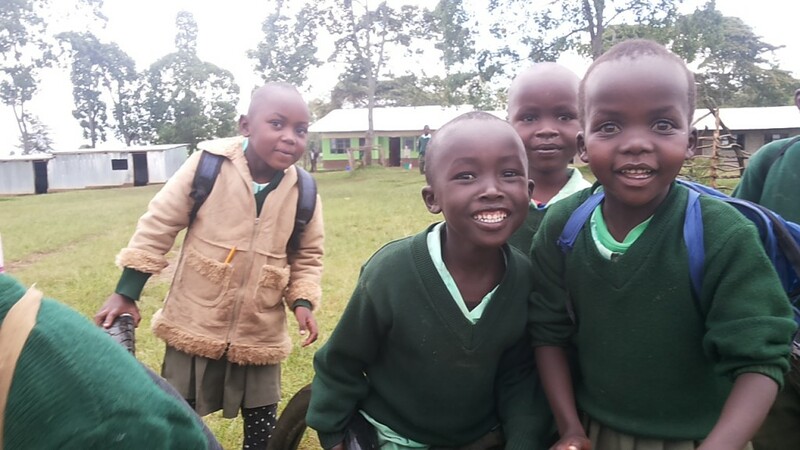 Local Kenyans Donated $252,000 to Daylight Last Year! Daylight has always been a partnership between the local people of rural Kenya and American supporters. 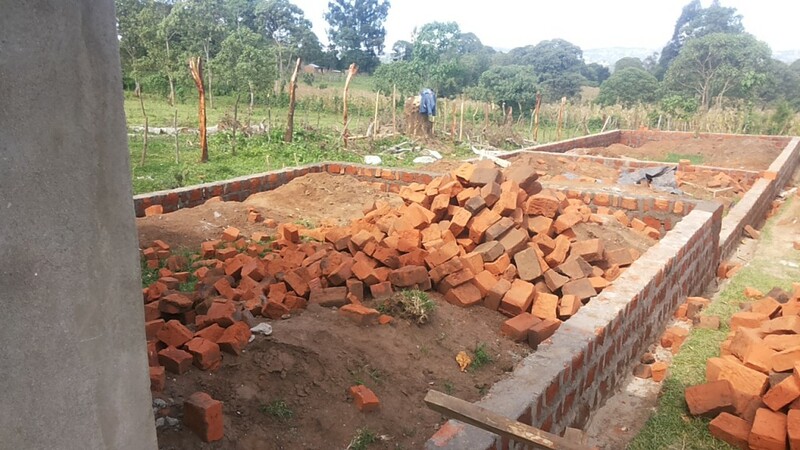 Kenyans donate their labor harvesting the schools corn or helping construct our classrooms. They make donations of bricks for building projects and offer corn, rice, and beans for the kids to eat. So Michael Kimpur and Nathan Roberts sat down and tried to figure out just how much they donate each month and put those donations into a dollar amount. And the results blew us away. Daylight Teachers are often young people who have just graduated college. And like the US Program Teach for America. They volunteer to help Daylight and at only a fraction of a usual teacher’s pay.The 14 teachers donated $14,000 in volunteer hours per month! 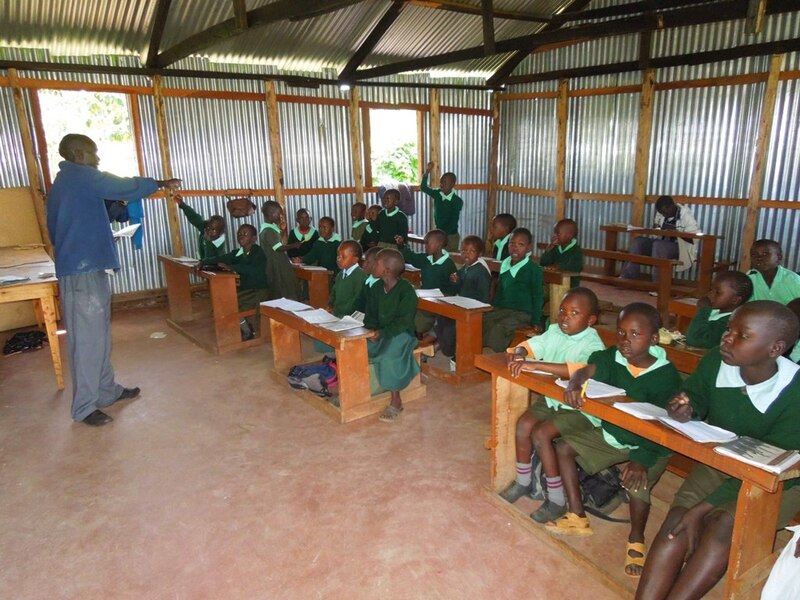 The local builders who construct our classrooms donate $1000 in free labor each month. 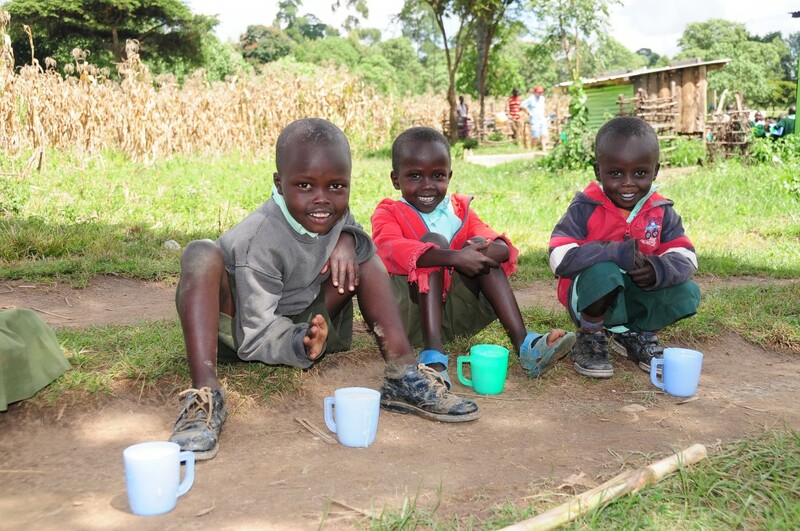 Our 4 school cooks have children who attend Daylight! So after feeding and cleaning up 300 bowls they donate several hours each week to the school. These hours equal $400 per month! Relatives of Daylight students, local businesses, and neighbors donate what they can to help Daylight grow. 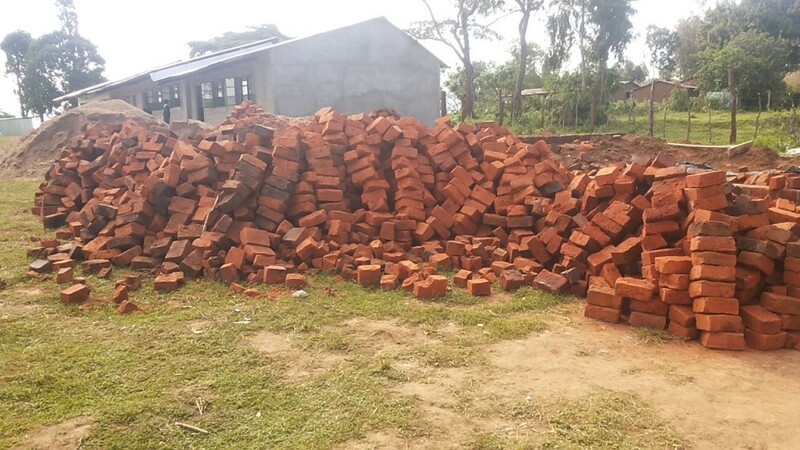 This spring they donated bricks to build a teacher’s office and last month they donated bricks to help us build three new classrooms. Each month they donated around $1,200 in corn, beans, rice and bricks. The local businesses give Daylight reduced rates because they believe in the work we are doing. The Construction Delivery Truck company reduces their typical fees by $250 each month. Daylight is also a working Farm! With an eye towards sustainability Daylight produces 3 tons of corn each year and has 5 cows. Daylight harvests $200 per month in corn and $50 per month in milk. The corn is in the background and the kids are drinking the milk! Daylight is a partnership. And the local people give what they can to help make Daylight a success. Last year in labor and gifts in kind the Kenyans donated $252,000. Last year Daylight US donated $96,000 in financial resources as well as thousands of volunteer hours in trips and events in the US. We wanted to share with you these inspiring numbers and thank you for being a part of this beautiful partnership. 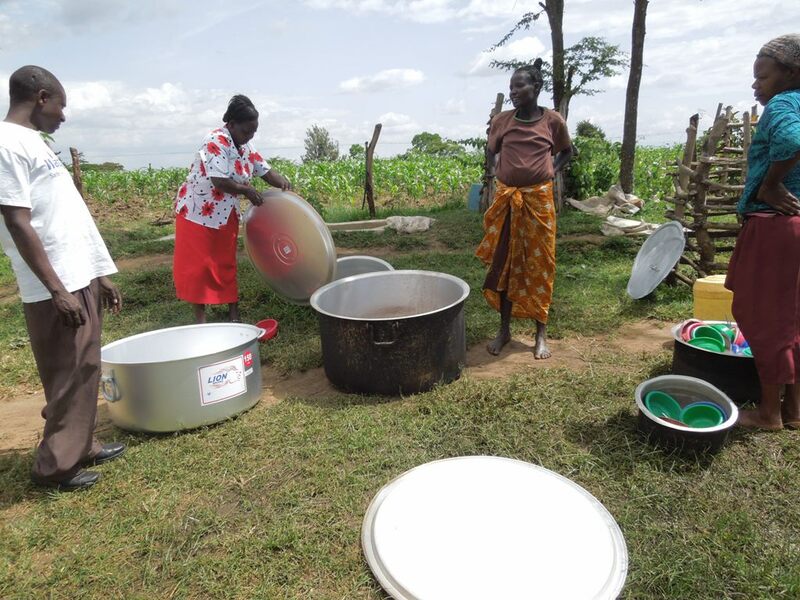 Kenyan Donations are estimated on standard Kenyan prices and pay-scales. Michael Kimpur has been meeting with friends all over Minnesota! It has been a wonderful time to re-connect with old friends, meet with teams going to Daylight next year, thank Daylight partners, and share the amazing work that is blessing the children at Daylight! Special Thanks to Senator Al Franken and Dr. Lenny Snellman for helping Michael secure a travel visa to Minnesota. Last Sunday, Daylight Kenya Director Michael Kimpur preached at House of Mercy Church in St. Paul, MN. His sermon was about the time his village was shown The Jesus Film when he was in high school. 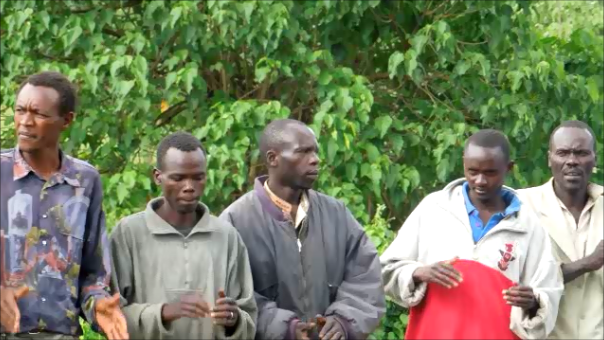 It is a beautiful example of how Pokot cultural values of sharing and caring for one’s neighbor aligns with the Christian message of loving your neighbor as yourself. Listen for yourself. We hope you will take advantage of his visit by coming to hear him at one of his many speaking engagements. This Sunday, Daylight Kenya Director Michael Kimpur will be preaching at House of Mercy Church in St. Paul, MN. If you have met Michael you know he is an amazing storyteller. Come hear him share stories from his life and the young lives that are being transformed at Daylight! Come hear him share stories from his life and the young lives that are being transformed at Daylight! We hope you will take advantage of his visit by coming to hear him at one of his many speaking engagements. We also want to offer you to opportunity to meet Michael for lunch or coffee. He is only available to meet during the day (10am–5pm). If you would like to set up a time to meet with Michael, please email Daylight Board Member Steve Spark at kraps1127@gmail.com. Michael’s schedule will fill up fast, so the sooner you get something on the calendar, the better.